Do Essential Oils Kill Cats? Do essential oils kill cats? An article by an aromatherapist on a popular website says no, but a veterinary toxicologist says there's reason to be concerned. You may have heard that essential oils are bad for cats (even dangerous), but an article by an aromatherapist on a popular website says no. There are many home remedies incorporating essential oils, so this is an important topic for cat lovers to get up to speed on. According to an article at Suite101.com, it's not the core components of essential oils that are harmful to cats. Instead, it's the additional components that are found in poor quality oils. In other words, the implication is that high quality oils would not harm cats. Is that true? I don't think so. 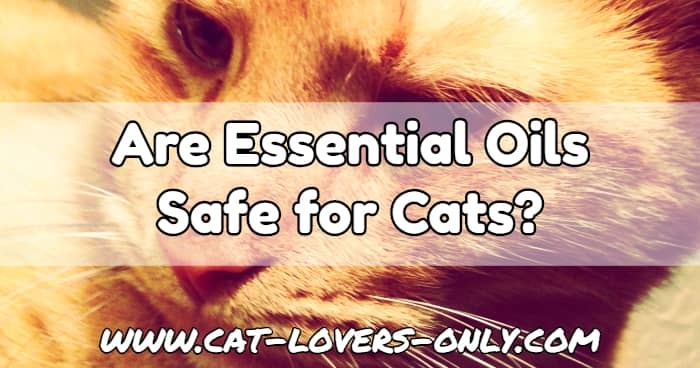 "Essential oils kill cats – true or false? It is commonly believed that the concentrated plant essences used in aromatherapy may be toxic to animals, particularly cats." 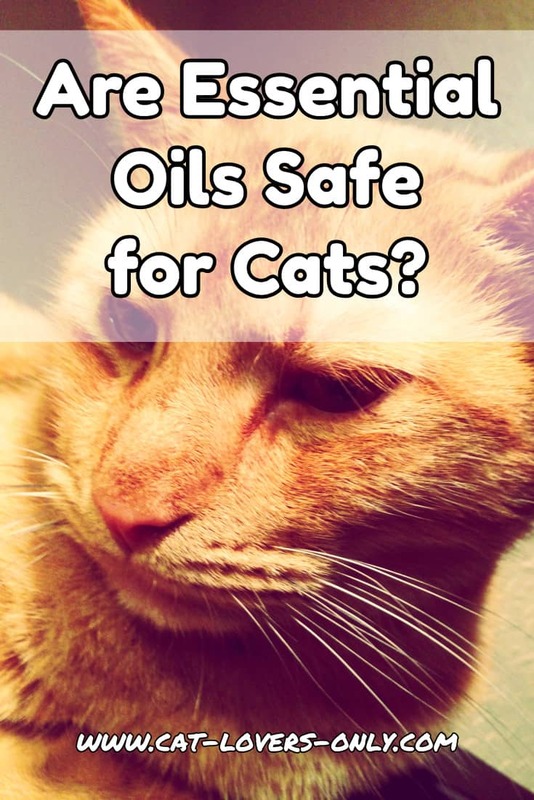 "Although poor quality oils pose a risk to felines – and to humans – it is not the essential oil that may cause health problems, but the chemical additives and byproducts of poorly processed oils. Where did the myth about essential oil toxicity originate? What can be done to protect the health of your pets?" According to the bio of the author on Suite101, she "completed her Certified Clinical Aromatherapist (C.C.A.) qualifications in early 2007 and is a distributor of the only therapeutic-grade essential oils produced in North America." A little research into what scientists and veterinarians have to say should set things straight. In order to sort this out, we need to answer two questions. First, do essential oils kill cats (or otherwise do them harm)? Second, if so, what is the mechanism at work that causes the harm? This is an important topic for cat owners, since there are common household items such as shampoos, soaps, and flea treatments that may contain essential oils. Tea tree oil poisoning is suspected in at least one cat death. The actual cause of death is unknown, and a postmortem was not done. There is no antidote, however, for tea tree oil toxicosis. A report in the Journal of the American Veterinary Medical Association shows 10 years worth of data on the negative effects of tea tree oil exposure in dogs and cats. Messybeast.com has an extensive article on how tea tree oil is toxic to cats. And there is this report describing how three sick cats suffered from tea tree oil toxicosis, and one died. And yet, Tea tree oil is sometimes recommended as a natural flea remedy, and in some cases, as part of a home treatment for ear mites in cats. If one cat gets sick or dies, that's one cat too many. So, what is it about essential oils and cats that don't mix? Well, cats have a different metabolic system from humans, and they have very picky livers. To know why that's important, we need to go back to when the secrets behind essential oils were discovered. In the year 1910, the Nobel Prize for Chemistry went to Geheimrat Otto Wallach. Wallach sorted out the mystery behind terpenes, hydrocarbons which are core components of plant essential oils. According to Dr. Safdar Khan, DVM, because they lack a certain enzyme, cats cannot efficiently eliminate terpenes in the liver. The Lavender Cat (www.thelavendercat.com) had a pretty clear warning and explanation on how cats can be poisoned by terpenes in essential oils. Unfortunately, that site has been in a state of disrepair for quite some time. The good news is that there's a PDF containing information from the old site. Lest we think all aromatherapists dismiss the dangers to cats, another aromatherapist, Kristen Leigh Bell, warns about the dangers of using aromatherapy on cats. "...cats cannot tolerate or metabolize essential oils. Their use can lead to symptoms of toxicity or even death." While she recommends hydrosols instead, the jury is apparently still out. According to Dr. Khan, no one really knows whether or not hydrosols are safe for cats. There are many home remedies incorporating essential oils, hydrosols and aromatherapy. To be safe, it's best to keep your cat far away from such things, unless you're working with a skilled veterinarian. Is Potpourri Bad for Your Kitty? Potpourri and oil diffusers are common in many households. Potpourri contains essential oils and cationic detergents, both of which are a no-no for kitties. Up through 1999, there had been more than 100 reported cases of cats being harmed by potpourri. According to an Jill A. Richardson, DVM liquid potpourri is a health hazard to cats. "Liquid potpourris may contain essential oils and cationic detergents, both of which are toxic to cats." In fact, potpourri was among the 10 most frequent feline exposures to toxic agents reported to the ASPCA Animal Poison Control Center (APCC) over a four year period ending in 2006. Cats will often investigate their environment face first, and if you put your potpourri on a table where your cat is apt to stick her nose, it's highly likely she'll get a face full of oil fumes. Worse, some cats may tip over liquids containing essential oils, covering themselves in the stuff. Anything that gets on a cat's paws or fur is sure to end up in her mouth. The bottom line? Cats cannot properly metabolize essential oils, making them potentially dangerous to your kitty. This applies to the liquid form, as well as any inhaled substances. I prefer caution over problems. As always, when in doubt, consult with your veterinarian. Below are a few links describing some of the warnings and dangers of essential oils and cats. Know someone who needs to know about this? Click "Save"